Effective advocacy. Bold leadership. Smart management. 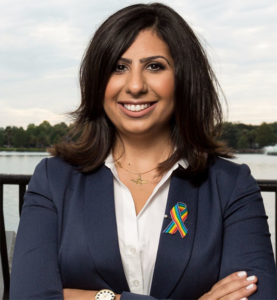 The Iranian American Political Action Committee (IAPAC), the connected PAC of the Public Affairs Alliance of Iranian Americans, proudly announces its support for Anna Eskamani for Florida House 47. After spending her younger years in Orange County Public Schools, Anna attended the University of Central Florida (UCF), earning a bachelor’s degree in Political Science, a bachelor’s degree in Women’s Studies, and a certificate in Service Learning. She went on to obtain a dual master’s in Nonprofit Management and Public Administration along with a certificate in Gender Studies. She’s currently continuing her education as a PhD student in Public Affairs while she serves as an adjunct professor and works fulltime as a Senior Director for Planned Parenthood. She’s received numerous awards over the years including the Cannon Porta Award in 2017. That’s an honor given to a dedicated woman who epitomizes the principles and values of the Democratic Party and leads by example through organizing and leading on a grassroots level in Central Florida. Recently, PAAIA had the opportunity to interview Anna about her campaign. 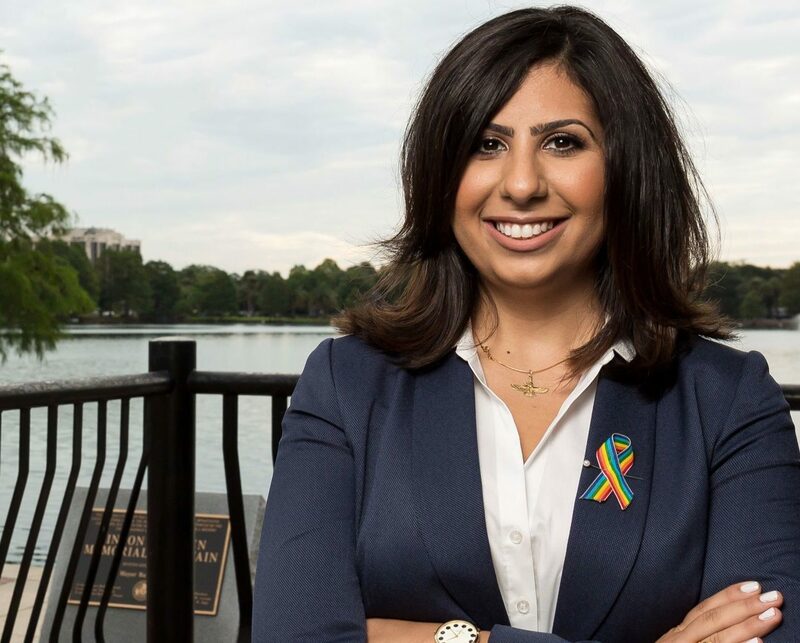 If successful she will become the first Iranian American elected to the State office in Florida. PAAIA: You’re very knowledgeable and you’ve been involved in multiple organizing efforts, but what inspired you to run for public office? Anna: Trump’s 2016 victory that isolated millions of American families (like my own) coupled with a deep love for my community. I have been an advocate for nearly 10 years, and it’s about time people like me march from the streets and into the Florida House. PAAIA: What differentiates you from your opponents? Anna: I am the only Democrat in the race and the only candidate who has been engaged in advocacy work for more than 10 years. I am the most skilled, qualified, and youngest candidate who will define the future of our state. PAAIA: What role do you think Iranian Americans play in your campaign? Anna: I will be the first Iranian American elected to any public office in Florida. This is a historic moment for us and we have already connected with the small, but passionate Iranian American community in Central Florida. Many have donated to our campaign and one family even hosted us in their home. We also have a handful of Iranian American volunteers, including a high school student who I am mentoring. Anna: We must continue to raise money. Already we have raised $250K in my campaign account and $27K in my Political Committee from more than 1,700 individual gifts. The Republican party spent $500K in this race last cycle. Anna: Every issue you can think of impact’s HD47. The issues of priority include protecting public education, affordable housing, preserving natural resources, supporting the economy, and ensuring all people have access to health care. Gun violence is an important issue as well, along with issues of gender, sexuality, and racial equality. In a state like Florida, some of these issues are addressed through playing defense. We push back against regressive policies and empower our constituents to do the same. However, I feel confident that some issues – especially those around public transit, affordable housing, and mental health funding – have bipartisan support, and champions are needed on both sides of aisle to shepherd good policy. Anna’s campaign is currently endorsed by numerous public officials and organizations, including Congresswoman Stephanie Murphy (D-FL/7), Orlando Mayor and former State Senator Buddy Dyer, Orange County Sheriff Jerry Demings, former Orange County Mayor the Honorable Linda Chapin, Moms Demand Action, Working Families, Vote Pro-Choice, Pride Fund to End Gun Violence, DLCC, Orlando Professional Firefighters, Women Under 40 PAC, NOW PAC, and many more.